The Nokia BH-111 bluetooth stereo headset has the beauty of connecting through the bluetooth very strongly and powerfully to your phone. It give’s a great and clear sound output. Available on discount price at amazon.in for only Rs.1590. This headset performs very well and is quality assured too. One of the latest technology gadget in this tech savy world which each one should own. A very handy and needful item. How to get this Nokia Headset at discounted price of Rs 1590? 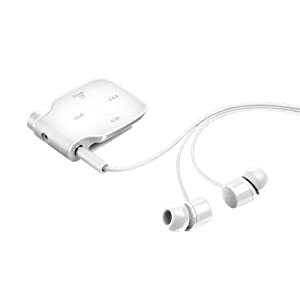 This headset is very comfortable as it has extra soft bedding on the ear buds. Being white in color it appears as a very classy look headset. One of the most important gadget to have hands free talking on your phone.